ABOUT The Timken Company engineers, manufactures and markets bearings, gear drives, belts, chain, couplings, lubrication systems and related products, and offers a spectrum of powertrain rebuild and repair services,it is a world-leading manufacturer of bearings and mechanical power transmission products.As the leading authority on tapered roller bearings, we apply our deep knowledge of metallurgy, tribology and mechanical systems to improve the reliability and efficiency of equipment, machinery and vehicles worldwide. With more than 17,000 employees operating from 33 countries, our associates and our products keep industry in motion and make the world more productive. Timken thrust bearings are designed specifically to manage thrust loads in a wide variety of industrial and automotive applications. 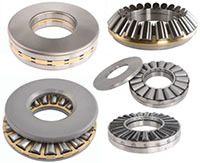 We manufacture five basic designs of thrust bearings that include ball, crossed roller, cylindrical roller, tapered roller and spherical roller designs to meet full range industry applications. 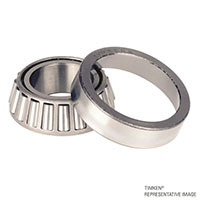 Ball bearings are used for high precision applications in a variety of markets, including aerospace, agriculture, construction, health, machine tool and general industry.